I follow the instructions on Stan's video carefully and use an air compressor to inflate. I do not add Stan's sealant until I can get the tire to seal with just soap on the bead. Why can't I get the Little Alberts to seal again??? They were the trickiest of the tires listed above the first time I mounted them but with lots of soap on the bead and some patience I got them inflated and they held air well. I tried everything this weekend and cannot get them seated. I wonder if the SnakeSkin sidewall is preventing the bead from making the initial seal? Sure, I could throw a tube in their but what fun would that be? I should be in Crested Butte, CO right NOW drinking wonderful,strong, black coffee with Ed & JJ before a pre-ride of the Crested Butte Classic course. But I am not. I am in Victor, ID with a deep bruise on my hip and a lot of road rash from last Wednesday's crash. I really struggled with this one and was quite grumpy for a while (sorry Michelle) about pulling the plug even though it was clearly the right thing to do. I was SO looking forward to riding in Crested Butte...in the fall! And I was REALLY looking forward to riding with Ed & JJ. I am sending strong, fast vibes to CB this Sat. Go Jenny Go! The following report is from the tiny portion of my brain that was "racing" this past Saturday while the majority of my brain was still in "Race Organizer" mode. The week prior to Moose Cross was a blur. I remember feeling really good on the bike on Tuesday when I did a few "opener" intervals prior to the Moose Rubaix road race and I was feeling very, very good in the Moose Rubaix race Wednesday night when I crashed. The most severe side effect of my crash was how it affected my sleep the rest of the week. I simply could not get comfortable at night and did not sleep much at all as a result. With the course work 95% done, I decided that I better get out and practice a bit on Friday morning. Although I installed the barriers on Tuesday I hadn't ridden them yet. How hard could it be? Our friend and cyclocross nutjob, Tim Kelley, gave me a short personal clinic on the step-through dismount and running re-mount. I thought I was ready...NOT. After a few slow laps and practice sessions on the barriers I let it loose and came into the triple barrier at full speed, failed to unclip while fumbling my step-through, and crashed into the barriers at full speed. So now my left knee resembles my right knee from Wed night's crash. Ha! Ok, enough practice. Race day was crazy but we were making it happin' captin'! I was so stiff and sore from my crashes and from pounding a million pieces of rebar for course markings that I was 90% sure I wasn't racing. But then cross-fever took over. Everyone was having so much fun. People were muddy, smiling, gasping for air, and the crowd was stoked. With 15 minutes to go before my race I grabbed my bike and did a pseudo warm-up. Go! I got a decent hole shot and was in the top 8 when we hit the "chicanes" and I instantly forgot about all my aches. At the top of the first run-up I dropped my chain while remounting my bike and about 8 guys passed me. Argh! Ok, time to chase. The legs were actually feeling good and anytime I had a straight section I opened it up. I was conservative through the barriers and stutter-stepped my way safely through each time but I wasn't losing a lot of time there. The final 300 yards of each lap was on paved bike path, straight into a stiff headwind, and I used this section to attack and pass riders. Woohoo...racing is fun! Finishing my third lap, I caught a rider just as we enterd the paved bike path and I attacked so he couldn't get on my wheel into the headwind. But a rider behind me, my friend Andy Damman, saw what I was doing and he jumped onto my wheel despite my best efforts to shake him off...sneaky little bugger that Andy. So Andy and I are racing now and he gaps me in the chicanes when I bobbled a loose corner. As I crested the ride-up feature, I saw a huge dust cloud in front of me and Andy rolling around off to the side of the course. Michelle just happened to be there taking pics of the race and saw Andy's crash too. She pulled his bike off of the course and I stopped to help in case it was serious. It looked pretty bad as Andy's helmet was damaged and he was covered in dirt head-to-toe. His slow responses to our questions at first worried me so I pulled the plug on my race to get him back to the start line and get help if necessary. It turns out that he just got his bell rung pretty good and jammed his ring finger but you never know with head injuries so it was a no-brainer (no pun intented) to stop. So, although I DNF'd my first cross race, I am hooked. It is a good thing we now have our own cross course in Victor. This is just the beginning. Check the Rev's report over at The Church of the Big Ring. Thanks Brotha! This post is from Dave Byers, Co-Organizer & Course Director of the first annual Moose Cross Cyclocross Race in Victor, ID. 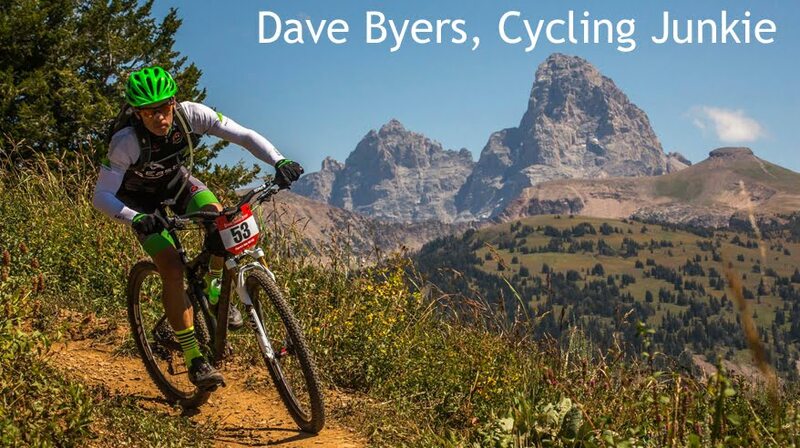 Tomorrow's post will be from Dave Byers, first-time cross racer. 95 racers converged on little Victor, ID to race our brand new cross course this past Saturday under a mix of sunny skies and Belgium-like wind & rain. We intentionally planned this event on the same day as the Oktoberfest taking place across the street at Grand Teton Brewing. Cross and beer go hand in hand right? A huge key to our success was the city of Victor. The city gave us their permission, and some generous man-hours, to build this cross course in the middle of the Victor City Park and it will remain as a semi-permanent course for future events. I am sure every race promoter has a few "what the hell did I get myself into" thoughts. I was having mine the morning of the race when there seemed to be a million things left to do and I was running out of time. But we had a great team of guys to pull this thing and when something needed to get done, one of us stepped up and did it. So many great people pitched in to help us pull this off and I can't thank them enough. We had racers come from Colorado, Montana, Utah, and the other side of Idaho and it was so gratifying to hear them compliment our course and our race and say that they will back next year...with more friends. There was some seriously good racing going on too and 'cross provides the greatest venue to see it all go down. Troy Barry and Sam Krieg battled it out in the Men's Pro race. We had a serious battle for 3rd through 6th in the Women's 1/2/3 race. And then there was the Under 12 kids race...holy cow. This was the highlight of my day. These little kids huffed and puffed their way around half a lap and the crowd went absolutely crazy. Every kid left with their own Moose Cross Cowbell to ring at future races. Chris E goes "cross crazy"
Check out our Moose Cross site over the next week for more updates and pics. The Moose Roubaix takes place each fall in Jackson, Wy and is an underground, no entry fee, no prize money, 23 mile road race on a mix of about 60% pavement, 10% chip seal, and 30% rough gravel roads. The race motto; "you crash, we dash" proved to be very appropriate last night. In my first Moose Roubaix, I crashed my road bike going about 23 mph on a rough section of gravel road when I washed out in a sweeping right-hander and went down on my right side. My bike and body paid the price: My right hip to below my knee is solid road rash and I have a contusion the size of a tennis ball on my hip. My right forearm is pretty raw too. I haven't given the bike a thorough once-over but my right carbon shift lever and brake hood are toast and my rear deraiileur is severly bent in. Oh, and I ruined a perfectly good pair of bib shorts and my favorite fingerless gloves. Ugh. Before the crash, I was having a very good race. I was with the lead group with only 2.5 miles to go and had clawed my way back to the pack after being dropped on the initial climb. I had stayed in the front third of the pack and tried to conserve energy where I could in case I was still with the lead group when we hit the final 2 miles of pavement. And the strategy was working! Riding the washboard at 22 to 26 mph is crazy! You don't have time to pick a line...you just have to point it and try to bunny hop the big holes at the last minute or just pray that your 25c tires hold. So my first Moose Roubaix was memorable one. I am pretty stiff and sore today and Moose Cross is this Saturay. Yikes! We are visiting family in Minden, NV and a great section of the Tahoe Rim Trail is only 20 minutes away. In just a couple of ride my tech skills on ledges and step-ups have improved dramitcally. Michelle has been fearless on the drops too. The coolest cross race outside of Belgium is happening in Victor, ID in 9 days! Are you signed up yet? Spending a long weekend in Park City riding ourselves silly, sleeping in, and eating good food. Our timing seems to have perfect as PC got the two-day rain that Victor, ID got last weekend which has left the trail in a wonderful, tacky-buffness state. Turner just announced their 2009 lineup by launching their new website. Selfishly, I was hoping for at least one "race" model in their 2009 lineup. I guess the Flux could be considered their endurance race frame but it doesn't push the limits of weight and travel enough in my opinion. A 50F degree cloudy day and a nearby Wilderness trail make for a great recovery ride.